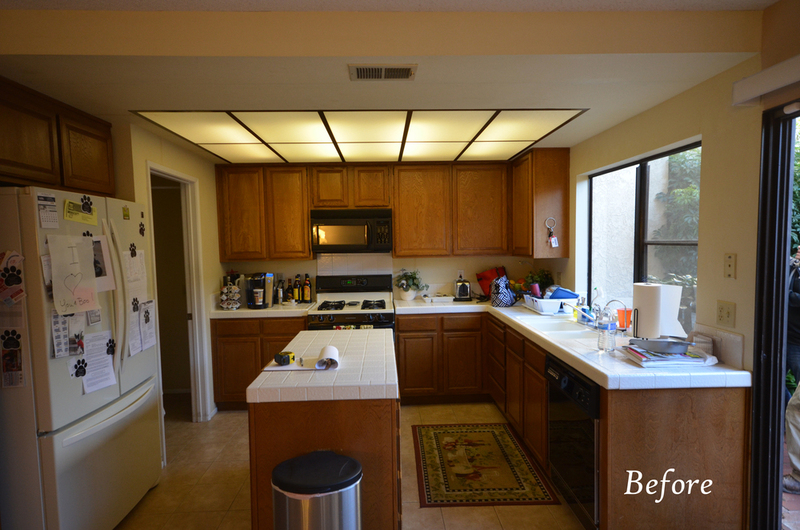 View project photos and descriptions from our kitchen remodeling projects in Santa Maria, CA. 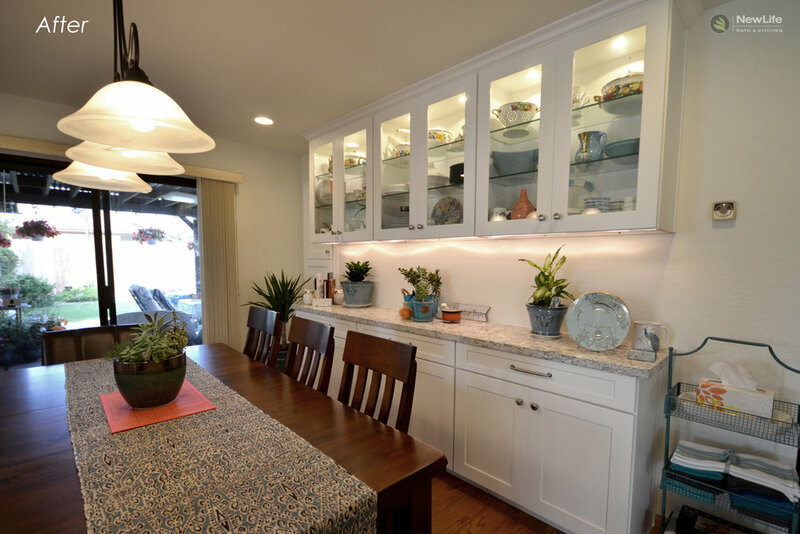 This remodeling project included removing a load bearing wall, installing a beam above cherry cabinets, quartz counter tops, new flooring, island, and a pot filler in the island. The floors are designed to look like wood, but actually are porcelain tile. 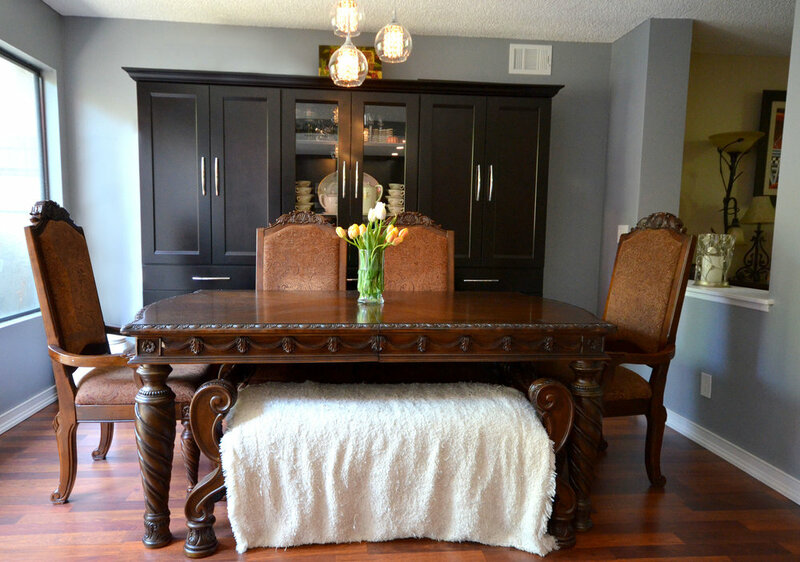 This offers all the style of wood, but pairs it with the benefit of being durable, low-maintenance, and easy to keep clean. What could be better? 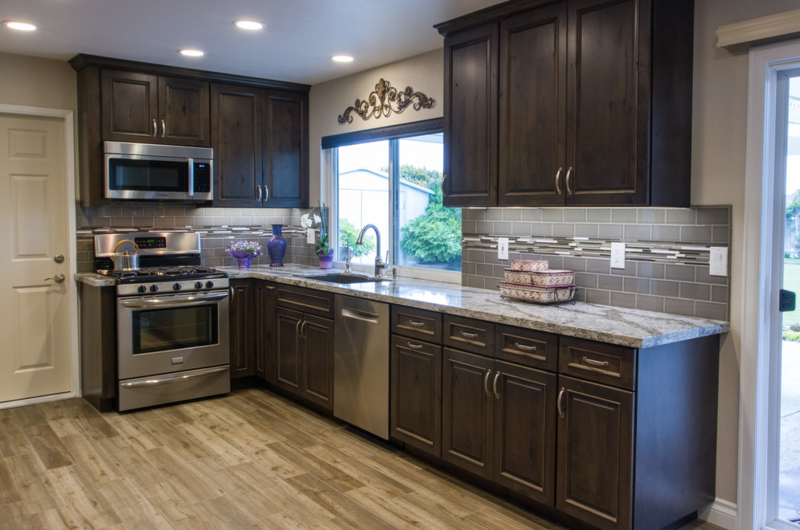 This Santa Maria kitchen not only showcases beautiful materials and features, but also includes clever storage solutions like recycling bins that are recessed into the kitchen island. 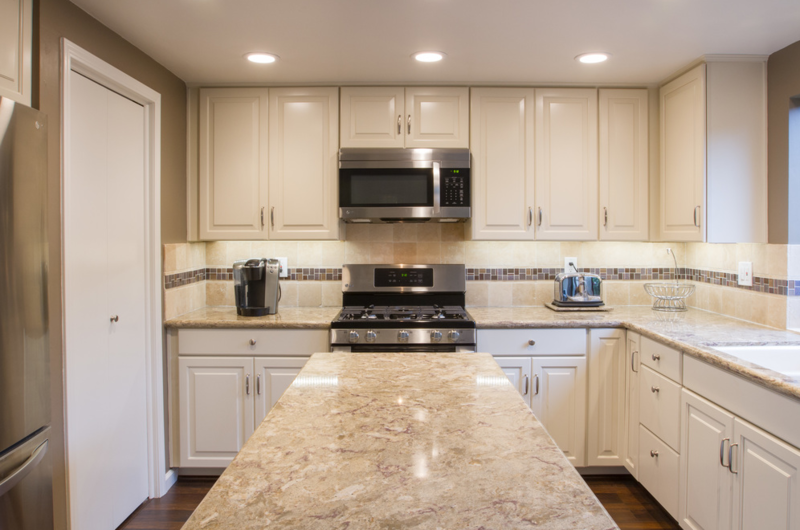 Cabinets are from Waypoint with a “Silk” finish and raised panels, and the counters are Cambria/Nevern. 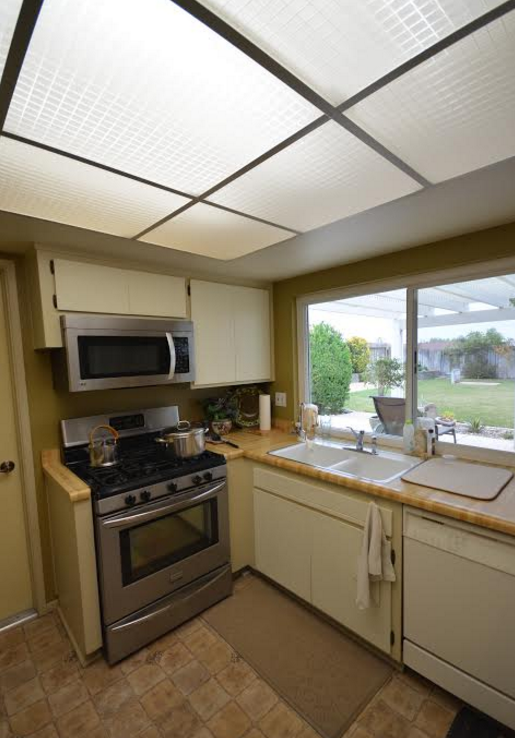 This remodel boasts some unique features including a herringbone pattern over the range, a spice rack and tray cabinet along the sides of the range, glass on the doors above the sink, and a peninsula cabinet (on back side). 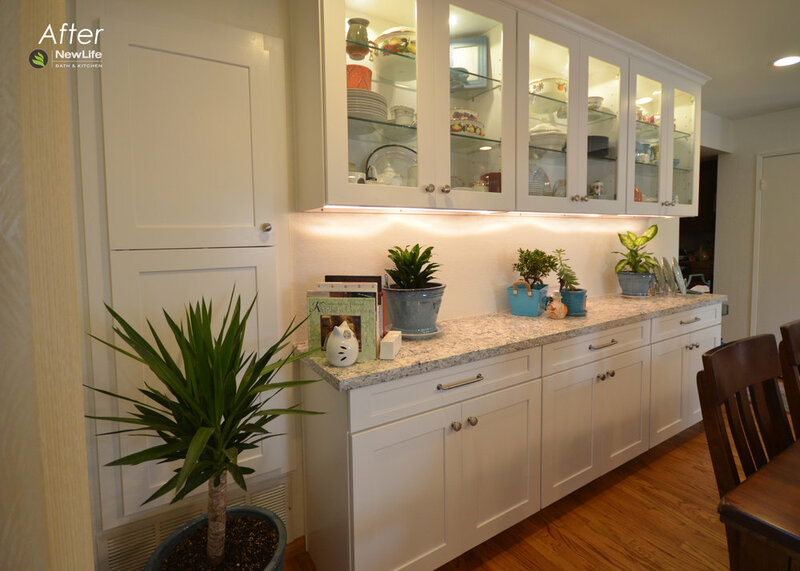 The scope of work included the laundry room cabinets, paint on the walls and ceiling, removing of soffit, dryway, and baseboards throughout the house. The entire project took 5-6 weeks to complete. 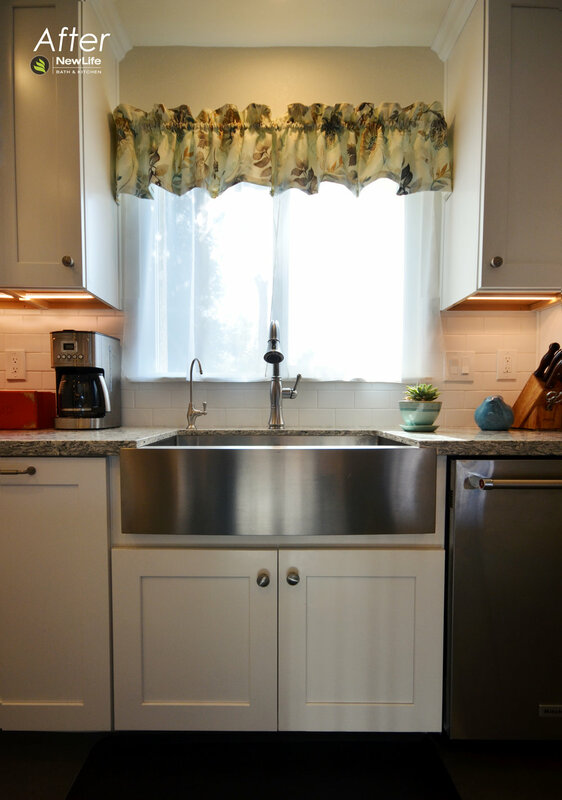 To learn more about our Kitchen Design and Remodeling Services click here. Ashley- Thanks for your wise and creative design suggestions. You really did a great job interpreting my ideas and dreams. Dave and Aaron- You are terrific, competent, pleasant, fun and so efficient. It was a pleasure having you in my home. Staff was very friendly and knowledgable. Great ideas. I can’t say enough about New Life Bath & Kitchen, their staff is so willing to accommodate you and determined to make you happy. 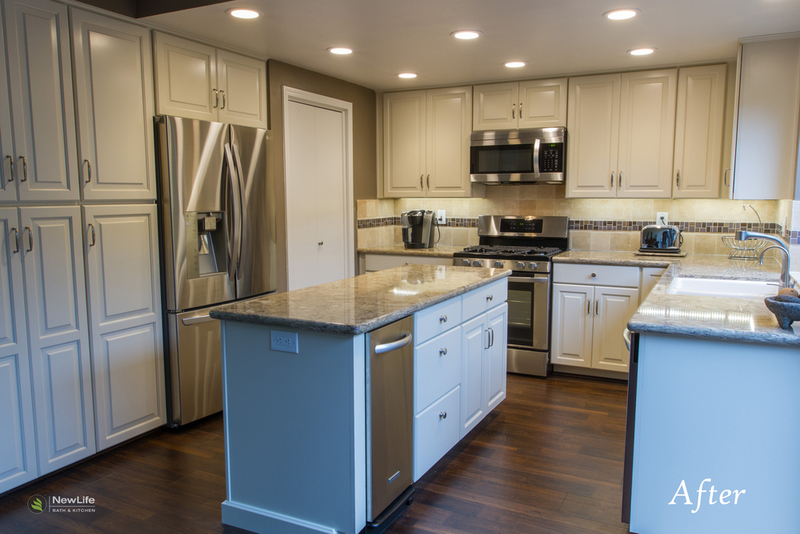 Your team just finished our kitchen remodel and I want to let you know what a pleasant experience has been to deal with each of them! Cindy is a real pro! David is a gentleman and provided total perfection in his work. Pablo was here at least ten minutes before starting time every morning. He is a very courteous young man and did such good work. I’m sure you realize how fortunate you are to have him on your team! 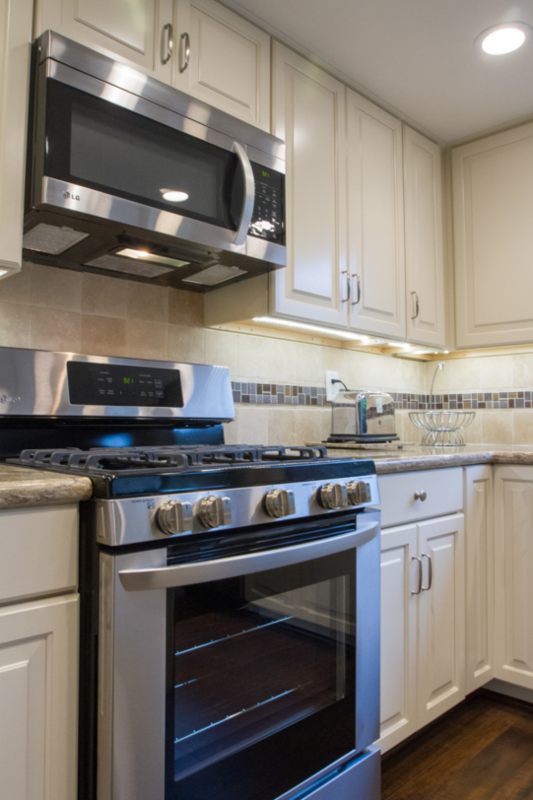 Our kitchen looks fantastic. Thanks to everyone for being such a pleasure to work with.